It is good for Pedal cyclist, skating, and related sports. Sponge and mesh fabric helps to absorb sweat and make your head comfortable. Ventilation holes on outter shell for nice air circulating and make your head breathable. 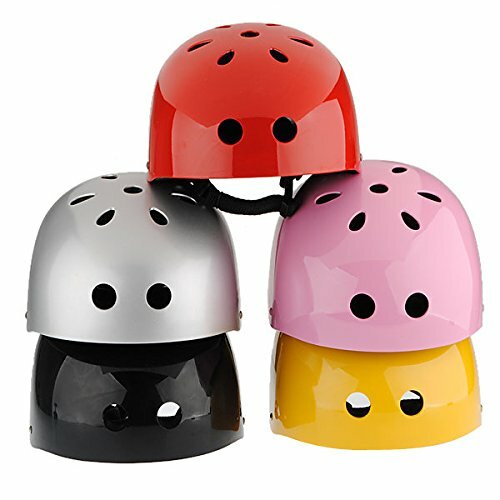 EPS foam inner protection cap, it is ultra-light material to relieve impact force and anti-shock. More over, it is very good material for heat insulating. ABS outter shell with excellent shock-resistance performance, can be used in low temperature, anti-crash and water proof. especially for electrical insulating.